Animania Mod 1.12.2/1.11.2 is an immersive mod that replaces and improves the passive animals in Minecraft, adding multiple breeds, proper genders, new behaviors, and several new species. Please note: on 1.11.2, WAILA mod will show you if your animal is hungry or thirsty and other information, simply by pressing sneak while viewing the animal. The new animals are found all over the overworld, located in different biomes and biome types more accurate to their species and breeds (Animania 1.10 is compatible with Biome Dictionary). There are achievements for each breed. Collect them all and win big prizes. Note: Prizes equal the amount of sheer satisfaction you get from accomplishing things in video games. Angus (beef), found in ??? Hereford (beef), found in ??? Large Black, found in ??? Large White, found in ??? Old Spot, found in ??? Favorite food: Slop, Carrots, …? Plymouth Rock, found in ??? All Animania adult Draft Horses can be ridden. Just make sure they have been fed and watered, and right click with a Riding Crop. To stop your horse, just switch your hand to a different item. The ‘speed boost’ feature can be enabled by using your Riding Crop again while riding. Ferrets can ‘sit’ and stay by right-clicking them. Click again to make them stand. Tamed Ferrets can ride on your shoulder. Simply sneak + right click to add them to your shoulder. Repeat to put them down. There are currently 2 Hedgehogs, normal and albino. Ferrets can be tamed, and will follow you once you feed them their favorite food. You will know they are tamed because a heart will occasionally float above their heads. Hedgehogs can ‘sit’ and stay by right-clicking them. Click again to make them stand. Tamed Hedgehogs can ride on your shoulder. Simply sneak + right click to add them to your shoulder. Repeat to put them down. Hamsters come in many different colors. They love storing the food you give them in their little cheeks and following you around if you have food in your hand! Hamsters can also be tamed by feeding them their favorite food (Hamster Food). Hamsters can sit and wag their tails when tamed. To release them from following you, just press shift-right-click. Hamsters can ‘sit’ and stay by right-clicking them. Click again to make them stand. There are currently 2 peacock variations. 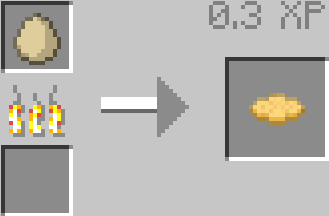 Note: You can throw seeds (Right Click) on the ground for Chickens to eat. Also, nesting is not yet implemented for Peacocks. Breeding is only enabled for 4 animal types at the moment: Chickens, Cows, Draft Horses, and Pigs. To breed cows, simply put an eligible Cow near an eligible Bull of any breed type. If the Cows are not already mated, they will fall in love and make children. Any two breeds of the same species can mate. By default it takes around 1 Minecraft day for a child to be born. The resulting breed is based on chance. Make sure you keep the Mother fed and watered during this time. The Father must stay within a 20 block radius of the mother during gestation and birth. To breed horses, simply put an eligible Mare near an eligible Stallion of any breed type. If the Horses are not already mated, they will fall in love and make children. Any two breeds of the same species can mate. By default it takes around 1 Minecraft day for a child to be born. The resulting breed is based on chance. Make sure you keep the Mother fed and watered during this time. The Father must stay within a 20 block radius of the mother during gestation and birth. Similar to cows, simply put an eligible Sow near an eligible Hog of any breed type. If neither of the Pigs are in a committed relationship, they will fall in love and make children. Any two breeds of the same species can mate. By default it takes around 1 Minecraft day for a child to be born. The resulting breed is based on chance. Make sure you keep the Mother happy during this time. The Father must stay within a 20 block radius of the mother during gestation and birth. To make baby Chicks, simply place a nest for your Hen (recipe below). If the Hen is fed and watered, and enough time has gone by, they will lay eggs in your nest (up to 3). If there is a Rooster nearby, they will hatch into baby chicks. Otherwise, you can gather eggs directly from the nest.